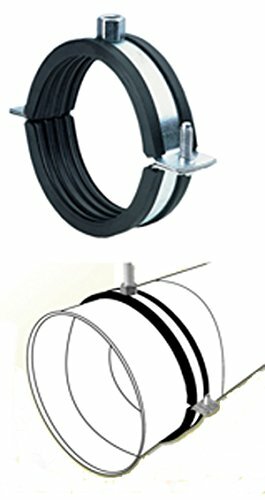 Rubber lined spiral ductwork hanger. Reduce ducting noise above acoustical ceiling tiles. Can also be used for expansion tanks. Save up to 50% with bulk discounts! Mix and match sizes. 5 pcs = 5% off 10 pcs = 10% off 20 pcs = 30% off 30 pcs = 40% off 40 pcs = 50% off. If you have any questions about this product by PT, contact us by completing and submitting the form below. If you are looking for a specif part number, please include it with your message.